Let me give a quick background on Quickie’s Burger & Wings. 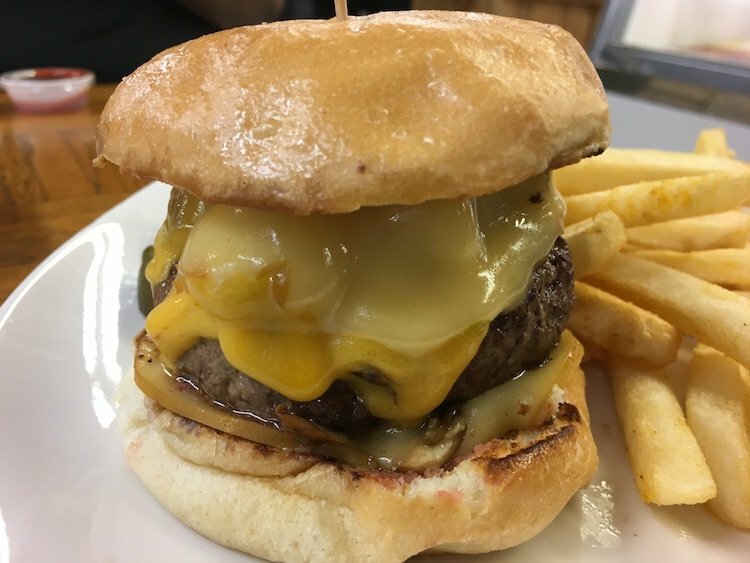 I ate at Quickie’s Burgers & Wings for the first time when the Burger Beast blog was just turning one year old. I was instantly fascinated with the Burgers and Wings and ended up taking their 4 lb. Burger Challenge which landed me on the front of the Tropical Life section in the Miami Herald. We (My wife Marcela and I) would make the 45-minute drive from our home to Hollywood twice a week just so I could get some of that smoky Burger goodness. The couple who opened and operated this Quickie’s (there was a second location in Pembroke Pines) were just not on the same page anymore. At some point during this, the food began to suffer and my trips to Hollywood just became less and less until they stopped altogether. They ended up selling off Quickie’s Burgers & Wings about a year and a half ago. I went by shortly after the switch but things still weren’t up to par. Flash forward to yesterday when I talk my cousin Fred into hitting them up one last time for old time’s sake. I’ve gotta pat myself on the back for that idea, it worked out gangbusters. Everything tasted just as it should and did originally. They’re still using fresh beef patties, the highly addictive Cattleman’s Tangy Gold…..I mean their homemade Golden BBQ Sauce on the Wings and the Quickie’s Sauce is just as addictive as I remembered. If I was going to nitpick anything and I will, the portions of the Fries and the size of the Chicken Sandwich were smaller. Also, it appears that they’re now using Turkey Bacon which makes sense since there is a “Halal” sign on the door. I don’t care for the expanded menu which seems to have every possible deep-fried item available on the Sysco order form from Jalapeño Poppers to Shrimp but as long as they keep making those Burgers & Wings just how I like them, I’ll be back regularly.